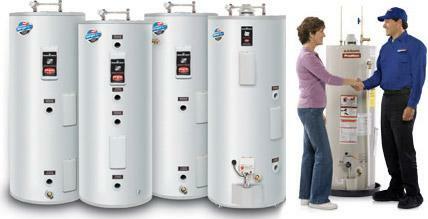 Choosing the right plumber is crucial when it comes to your water heater. Not only can an improperly installed water heater be dangerous, but it can also result in increased energy costs or poor unit performance. It’s also important that your plumber follow the current plumbing codes for your county. How do you know it's time to call a plumber for your water heater? Water heater is more than ten years old. If you are in need of water heater maintenance, repair, or replacement, Budget Rooter’s expert technicians can have you up and running in no time. Call us today for a free estimate – in most cases, we can even have the problem fixed or a new water heater installed the same day. Whether your problem is a common residential problem such as hair, food, or tree roots, or a heavy commercial problem such as grease or debris – Budget Rooter has the solution. Our experienced professionals will assess your situation and recommend only what is needed to get your drains flowing freely. Have you been told that you need a costly line replacement? Contact us today for a free second opinion. You can count on us for the knowledge, experience and equipment to handle any drain problem, whether you need heavy duty cleaning or light cleaning due to minor clogs. Budget Rooter offers full-service plumbing to our residential and commercial customers, including toilets, faucets, tubs, sinks, pipes, sump pumps, garbage disposals, and much more! Budget Rooter is a family owned and operated, full-service plumbing and drain cleaning company serving New Castle and Kent Counties in Delaware, and Cecil County in Maryland. Not only are we available during the week to answer your call, but Budget Rooter also provides emergency evening and weekend service. Contact us here for your free estimate.